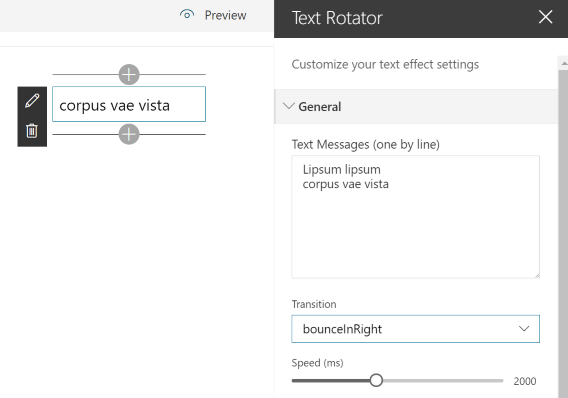 The Text Rotator Web Part is a SharePoint client side web part built with the SharePoint Framework (SPFx). This web part displays a texts series as a rotation with a transition effect. This project uses the JQuery plugin morphtext.js This web part uses also the Custom Fields library to enhance the web part edition experience. Thanks to this WP, you can insert your texts, choose a transition and enjoy your page with a cool fx.